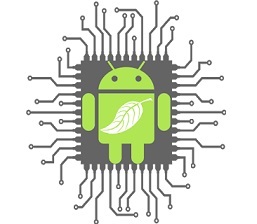 The GreenDroid mobile application processor is a 45-nm multicore research prototype that targets the Android mobile-phone software stack. It can execute general-purpose mobile programs with 11 times less energy than today’s most energy-efficient designs, at similar or better performance levels. A key technological problem for microprocessor architects is the utilization wall. The utilization wall says that, with each process generation, the percentage of transistors that a chip design can switch at full frequency drops exponentially because of power constraints. Dark Silicon—large swaths of a chip’s silicon area that must remain mostly passive to stay within the chip’s power budget. Over the next five to 10 years, the breakdown of conventional silicon scaling and the resulting utilization wall will exponentially increase the amount of dark silicon in both desktop and mobile processors. The estimate that the prototype will reduce processor energy consumption by 91 percent for the code that c-cores target, and result in an overall savings of 7.4 X. The GreenDroid prototype demonstrates that c-cores offer a new technique to convert dark silicon into energy savings and increased parallel execution under strict power budgets. It was all about Greendroid. 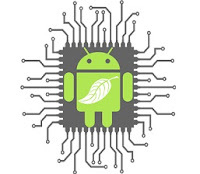 If you liked it then please share it or if you want to ask anything then please hit the comment button.To download GreenDroid PPT just click the link below.